Ian Leahy (SBG, Cork) defeated Shane Daly (SBG, Cork) by decision. Robert Kelly (SBG, Cork) defeated David Ruxton (SBG, Cork) by decision. Kevin Hyde (SBG, Cork) defeated James O' Mahoney (SBG, Cork) by decision. Kevin Looney (SBG, Cork) defeated Jack Ring (SBG, Cork) by decision. Shane Mc Elhinney (SBG, Cork) defeated Luke Ross (SBG, Cork) by decision. Ciaran Mullane (SBG, Cork) defeated Eoin Chandley (SBG, Cork) by Referee stoppage. James Hyde (SBG, Cork) defeated William Cooper (SBG, Cork) by decision. Aoife Hegarthy (SBG, Cork) defeated Jesse Mc Carthy (SBG, Cork) by decision. Daniel Herlihy (SBG, Cork) defeated Joshua Rathore (SBG, Cork) by decision. Frank Meagher (The Pit MMA) defeated Gavin O Sullivan (SBG, Cork) by decision. Michael Grace (SBG, Cork) defeated Fionn Hickey (SBG, Cork) by decision. Dylan St John (The Pit MMA) defeated Eoin O Connell (SBG, Cork) by decision. Craig Lonergan (The Pit MMA) defeated Kyle Kirk (SBG, Cork) by decision. Damien O Hea (SBG, Cork) defeated Frankie O' Donavan (The Pit MMA) by decision. Brian Newman (SBG, Cork) defeated David Doran (SBG, Cork) by decision. Catherine Shannon (Black Dragon, Galway) defeated Marcella O' Keefe (SBG, Cork) by decision. SECOND ROUND OF "The Tournament To Bangkok"
IKF Locker Room Inspector: Ron Estrada, Andrew Olivarez & Francisco Abundis & Jess Gasca. Defeated **Ashlee Coffey (Bakersfield, California, USA, 0-1, 5'8", 155.8, 7-26-91, Gil Medina, (661) 348-9710, - (12-12-15) - (RN: 12-10-16) - (LU: 12-13-15)) by TKO at 1:07 of round 2. Ashlee Coffey was issued a 30 day no training and 45 day no competition Medical Suspension until January 26th, 2016 by Dr. Mitch Jelen. Judge Marcos Guevara: 29-28 Rodriguez. Judge Vichai Supkitpol "Rex": 29-28 Lopez. Defeated **James Gregory (El Cajon, California, USA, 2-10-2, 158.6, 5'7", 11-7-79, Melchor Menor, (619) 990-4657, - (FP: 12-12-15) - (RN: 12-12-16) - (LU: 12-13-15)) by KO at 1:22 of round 2. James Gregory was issued a 30 day no training and 45 day no competition Medical Suspension until January 26th, 2016 by Dr. Mitch Jelen. Defeated **Jocelyn Ramirez (Palmdale, California, USA, 1-1, 119.2, 5'2", 10-12-01 , Charles Ramirez, (661) 860-3814, - (FP: 12-12-15) - (RN: 12-12-16) - (LU: 12-13-15)) by TKO at 1:41 of round 2. Jocelyn Ramirez was issued a 30 day no training and 45 day no competition Medical Suspension until January 26th, 2016 by Dr. Audrey Konow. Promotional Title Bout: **112 lbs. defeated **Victoria Engberson ( (Autumn ) Grass Valley, California, USA, 5-5, S: 7-0, AB: 1-0, AMMA: 1-0, 114, 5'4", 4-9-93, Andy Khensemphaph, (530) 798-9056, - (FP: 12-12-15) - (RN: 12-12-16) - (LU: 12-13-15)) by TKO during the break of round 4 & 5. Victoria Engberson was issued a 30 day no training and 45 day no competition Medical Suspension until January 26th, 2016 by Dr. Mitch Jelen. Judge Vichai Supkitpol "Rex": 40-33. (**) This weight was changed from 112 to 115 over a month prior to this bout. However the event matchmaker (Not The Promoter) informed Todd's camp over a month prior to this event and did not inform Engberson's camp "OR THE IKF" until on Wednesday, December 9th, 2015. Matchmaker has been Fined and Suspended for misconduct of matchmaking on this bout and several other issues related to matchmaking in regards to fighters date of births and fight records. Defeated Jairo Gomez (Pomona, California, USA, 0-2, 178.8, 5'9", 2-14-80, Alan Florez, (626) 393-5927, - (FP: **4-5-16) - (RN: 4-5-16) - (LU: 12-13-15)) by TKO at 1:22 of round 2. Jairo Gomez was issued a 30 day no training and 45 day no competition Medical Suspension until January 26th, 2016 by Dr. Mitch Jelen. (**) On the event Results for the The 11th Annual Thai New Year 2015 "Songkran Festival" April 5th, 2015, the event representative had reported that Jairo Gomez did not get a Full Physical. However, IKF went back to review the event file and Jairo Gomez "DID" get a Full Physical. Jairo Gomez paid $40 to Dr. Know on 12-12-15 to get another Full Physical. This will be his reported Full Physical Date. IKF owes Jairo Gomez the difference of time from 12-12-15 to 4-5-16 which breaks down to just under 4 months. At a rate of Approximately $3.33 per month of a 12 month valid physical, IKF owes Jairo Gomez $13.33. Hayden Lewis claimed to have lost 22 lbs in the last 3 weeks to make weight for this bout. During his physical CSAC/IKF Dr. Mitch Jelen discovered severe dehydration and made the medical decision for safety reasons to pull him from the event. Lewis had a resting blood pressure of 131/93: Hypertension Stage 1. IKF Refunded Hayden Lewis' fighter registration fees. Robert White was pulled from the event after the IKF discovered he had went to the Hospital the night before fro dehydration due to vast weight cutting. (**) 12-12-15: Josh Fowler was a no show to the event and has been suspended 90 days until March 11th, 2016 for his actions. Fowler's opponent Joseph Sivia got Licensed, made weight and had his full medical done, only to be left without an opponent due to Sivia not showing or even calling in to officially cancel. MISSED WEIGHT: 2, 1 MINUTE SOFT ROUNDS. MISSED WEIGHT: 3, 1 MINUTE SOFT ROUNDS. 5-9-2015: Simon Ho Had Full Physical done by a Nurse instead of an MD or DO. Needs one completed by an MD or DO. 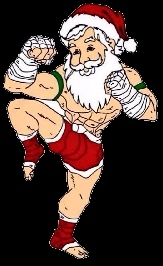 12-12-15: Fighter was given a Full Physical form to be completed at weigh ins with Dr. Furness. However, Simon Ho used the same Noncompliant Full Physical he used on the May 9th, 2015 Arise Event done by a Nurse Practitioner instead of a MD or DO and did not get a valid one before sparring in the In Gym Sparring Event on 12-12-15. Simon Ho has been fined $250 and suspended 90 days until March 11th, 2016 for failure to abide by mandatory medical safety. Suspension remains until fine is paid in full. Fighter/Parent were given a FULL FIGHTER PHYSICAL FORM to be completed by Dr. Furness at weigh-ins and failed to get completed. Had her Full Physical done by a "Chiropractor". Needs a New FULL PHYSICAL by an MD or DO. (***) These Fighters Was NOT on pre approved bout list. Tito Perez NEEDS TO HAVE A FULL PHYSICAL. CAN BE DONE BY EVENT DOC AT WEIGH-INS FOR $40: CLICK HERE. Tito Perez NEEDS TO GET IKF LICENSED: CLICK HERE. Ray Gillenwater NEEDS TO HAVE HIS FIGHTER INFO & UPDATE FORM: CLICK HERE. Ashlee Coffey NEEDS TO HAVE A FULL PHYSICAL. CAN BE DONE BY EVENT DOC AT WEIGH-INS FOR $40: CLICK HERE. BOTH FIGHTERS NEEDS TO HAVE HIS FIGHTER INFO & UPDATE FORM: CLICK HERE. MUST BE PROVEN BY SENDING TO IKF BY WEDNESDAY, DECEMBER 9th At 5 PM. A PAST BOUT HISTORY FORM - CLICK HERE. Sergio Lopez NEEDS TO HAVE A FULL PHYSICAL. CAN BE DONE BY EVENT DOC AT WEIGH-INS FOR $40: CLICK HERE. Sergio Lopez NEEDS TO GET IKF LICENSED: CLICK HERE. Pedro Rodriguez NEEDS TO HAVE HIS FIGHTER INFO & UPDATE FORM: CLICK HERE. Timthey Kamall (Timothy Kamal) NEEDS TO HAVE A FULL PHYSICAL. CAN BE DONE BY EVENT DOC AT WEIGH-INS FOR $40: CLICK HERE. Timthey Kamall (Timothy Kamal) NEEDS TO GET IKF LICENSED: CLICK HERE. Francisco Amescua NEEDS TO HAVE HIS FIGHTER INFO & UPDATE FORM: CLICK HERE. (**) IKF has a Carlos Dagieu registered but he has a different date of birth, but same trainer. Carlos Daieu NEEDS TO HAVE A FULL PHYSICAL. CAN BE DONE BY EVENT DOC AT WEIGH-INS FOR $40: CLICK HERE. Carlos Daieu NEEDS TO GET IKF LICENSED: CLICK HERE. Corey Fisher NEEDS TO HAVE HIS FIGHTER INFO & UPDATE FORM: CLICK HERE. Before approval of this bout, IKF needs a SIGNED and DATED EXPERIENCE RISK WAIVER from James Gregory. For Form CLICK HERE. DUE TO James Gregory's Fight Record, BOTH FIGHTERS MUST WEAR HEADGEAR AND SHIN PADS. James Gregory NEEDS TO HAVE A FULL PHYSICAL. CAN BE DONE BY EVENT DOC AT WEIGH-INS FOR $40: CLICK HERE. James Gregory NEEDS TO GET IKF LICENSED: CLICK HERE. Lance Dixon NEEDS TO HAVE HIS FIGHTER INFO & UPDATE FORM: CLICK HERE. IKF has a Jocelyn Ramirez Registered but not the same date of birth. BOTH FIGHTERS NEED TO PROVIDE A PARENTAL RELEASE FORM: CLICK HERE. (**) This weight was changed from 112 to 115 on Wednesday, December 9th, 2015. Victoria Engberson NEEDS TO HAVE A FULL PHYSICAL. CAN BE DONE BY EVENT DOC AT WEIGH-INS FOR $40: CLICK HERE. Victoria Engberson NEEDS TO GET IKF LICENSED: CLICK HERE. Janet Todd NEEDS TO HAVE HIS FIGHTER INFO & UPDATE FORM: CLICK HERE. Before approval of this bout, IKF needs a SIGNED and DATED EXPERIENCE RISK WAIVER from Ray Rolon. For Form CLICK HERE. DUE TO Ray Rolon's Fight Record, BOTH FIGHTERS MUST WEAR HEADGEAR AND SHIN PADS. BOTH FIGHTERS NEED TO HAVE HIS FIGHTER INFO & UPDATE FORM: CLICK HERE. Joseph Sivia NEED TO HAVE A FULL PHYSICAL. CAN BE DONE BY EVENT DOC AT WEIGH-INS FOR $40: CLICK HERE. Joseph Sivia NEED TO GET IKF LICENSED: CLICK HERE. Josh Fowler NEEDS TO HAVE HIS FIGHTER INFO & UPDATE FORM: CLICK HERE. Vincent Familiari NEED TO GET IKF LICENSED: CLICK HERE. Jario Gomez NEEDS TO HAVE HIS FIGHTER INFO & UPDATE FORM: CLICK HERE. FIGHTERS - NEW REQUIREMENTS BY THE CSAC AS OF SEPTEMBER 9th, 2015. ALL Fighters on this event Must Attain a FULL IKF CA LICENSE ($20/Year) Which Can Be Done At Weigh-Ins. TRAINERS - NEW REQUIREMENTS BY THE CSAC AS OF SEPTEMBER 9th, 2015. ALL CORNERMEN/SECONDS/TRAINERS Who Wish To Work A Fighters Corner For These Events Must Attain a FULL IKF CA LICENSE ($20/Year) Which Can Be Done At Weigh-Ins. BOTH ATHLETES MUST BE WITHIN 5 LBS OF EACH OTHER. BOTH FIGHTERS NEED TO PROVIDE A COPY OF BIRTH CERTIFICATE AND PARENTAL RELEASE FORM: CLICK HERE. BOTH FIGHTERS NEED TO HAVE THEIR FIGHTER INFO & UPDATE FORM: CLICK HERE. Michael McThorn NEED TO HAVE A FULL PHYSICAL. CAN BE DONE BY EVENT DOC AT WEIGH-INS FOR $40: CLICK HERE. Michael McThorn NEED TO GET IKF LICENSED: CLICK HERE. Marcos Chupin NEED TO HAVE THEIR FIGHTER INFO & UPDATE FORM: CLICK HERE. Nikki Gee NEED TO HAVE A FULL PHYSICAL. CAN BE DONE BY EVENT DOC AT WEIGH-INS FOR $40: CLICK HERE. Nikki Gee NEED TO GET IKF LICENSED: CLICK HERE. Lauren Cabuag NEED TO HAVE THEIR FIGHTER INFO & UPDATE FORM: CLICK HERE. Chase Fitzgibbons NEED TO HAVE A FULL PHYSICAL. CAN BE DONE BY EVENT DOC AT WEIGH-INS FOR $40: CLICK HERE. Chase Fitzgibbons NEED TO GET IKF LICENSED: CLICK HERE. Josh Torres NEED TO HAVE THEIR FIGHTER INFO & UPDATE FORM: CLICK HERE. Simon Ho Had Full Physical done by a Nurse instead of an MD or DO. Needs one cmpleted by an MD or DO. Julian Bernal NEED TO HAVE A FULL PHYSICAL. CAN BE DONE BY EVENT DOC AT WEIGH-INS FOR $40: CLICK HERE. Julian Bernal NEED TO GET IKF LICENSED: CLICK HERE. Waymon Radford NEED TO HAVE THEIR FIGHTER INFO & UPDATE FORM: CLICK HERE. Nice Awards! Great Semi- Contact Action! No Knockouts! CALI 12 "KINGS BIRTHDAY MUAY THAI CELEBRATION"
Judge Kim Kongkriangkai: 29-28 Munoz. Judge Rath Ren: 29-28 Flores. Judge Kim Kongkriangkai: 29-28 Vergara. Judge Rath Ren: 29-28 Vergara. Judge Vichai Supkitpol: 29-28 Rosas. Judge Kim Kongkriangkai: 48-47 Connor. Judge Rath Ren: 49-46 Connor. Judge Jim VanOver: 48-47 Costello. Costello put on her update form prior to this event that her fight record was 2-1-1, which would mean on May 16th, 2015, she was 1-2 prior to her bout. Judge Kim Kongkriangkai: 29-28 Brandon. Judge Rath Ren: 29-28 White. Judge Vichai Supkitpol: 29-28 White. Judge Kim Kongkriangkai: 30-27 Crenshaw. Judge Rath Ren: 30-27 Crenshaw. Judge Vichai Supkitpol: 29-28 Orozco. Judge Kim Kongkriangkai: 29-28 Villa. Judge Rath Ren: 29-28 Juarez. Judge Jim VanOver: 29-28 Juarez. (**) Mendy Kouakou did not reveal her amateur boxing record to the event matchmaker. **Technical Forfeit when Silva informed the promoter by phone at weigh-ins that he was unable to fight due to illness. Paul Silva (Da Silva) was issued a *90 day medical suspension until March 4th, 2016 by the IKF due to this being his *SECOND pull from a bout. 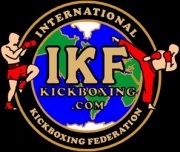 John Angulo and his trainer Julio Jose Trana need to contact the IKF Office for a discussion with Mr. Fossum in regards to his actions during and after this bout. 916. 663.2467. Judge Kim Kongkriangkai: 29-28 Garcia. Judge Marcos Guevera: 29-28 Poortinga. Judge Jim VanOver: 29-28 Garcia. Jose Delgado-Marquez was issued a 30 day no training and 45 day no competition Medical Suspension until January 20th, 2016 by Dr. Audrey Konow. Judge Kim Kongkriangkai: 29-28 Escamilla. Judge Marcos Guevera: 29-28 Orozco. Judge Kim Kongkriangkai: 29-28 Mendoza. Judge Rath Ren: 29-28 Mendoza. Judge Jim VanOver: 29-28 Rivas. 12-06-15: Malik Abdulmumin refused the fight at weigh-ins due to last minute placement and unfamiliar with his opponent. IKF is reviewing for possible suspension placed on Malik Abdulmumin since fight card had been posted. Bout Cancelled due to Jacobe Powell being 6 lbs overweight. However, this bout would not have been allowed since it was never an approved bout by the IKF as of the bout card deadline. For this reason, (Late addition) there was no suspension administered. On October 24th, 2015 Jacobe Powell informed the IKF on his "UPDATE FORM" that his fight record was 1-2, S: 3-0, AMMA: 4-7, PANK: 0-1 which included his loss that night. On his Update form for this event, he wrote that on this day, his record was now 3-4. Before allowed to fight again, IKF needs Mr. Powell to inform them where the additional bouts came from, 2 more wins and 2 more loses. Andrew Priolo NEEDS TO HAVE A FULL PHYSICAL. CAN BE DONE BY EVENT DOC AT WEIGH-INS FOR $40: CLICK HERE. Andrew Priolo NEEDS TO GET IKF LICENSED: CLICK HERE. Justin West NEEDS TO HAVE HIS FIGHTER INFO & UPDATE FORM: CLICK HERE. Colin Stratford NEEDS TO HAVE A FULL PHYSICAL. CAN BE DONE BY EVENT DOC AT WEIGH-INS FOR $40: CLICK HERE. Colin Stratford NEEDS TO GET IKF LICENSED: CLICK HERE. Akilli Bean NEEDS TO HAVE HIS FIGHTER INFO & UPDATE FORM: CLICK HERE. Jharell Bruce NEEDS TO GET IKF LICENSED: CLICK HERE. Andrew Trac NEEDS TO HAVE HIS FIGHTER INFO & UPDATE FORM: CLICK HERE. Michael Cruz NEEDS TO HAVE A FULL PHYSICAL. CAN BE DONE BY EVENT DOC AT WEIGH-INS FOR $40: CLICK HERE. Michael Cruz NEEDS TO GET IKF LICENSED: CLICK HERE. Erin Hunter NEEDS TO HAVE HIS FIGHTER INFO & UPDATE FORM: CLICK HERE. BOTH FIGHTERS NEEDS TO HAVE HER FIGHTER INFO & UPDATE FORM: CLICK HERE. Lou Cervantes NEEDS TO HAVE A FULL PHYSICAL. CAN BE DONE BY EVENT DOC AT WEIGH-INS FOR $40: CLICK HERE. Lou Cervantes NEEDS TO GET IKF LICENSED: CLICK HERE. 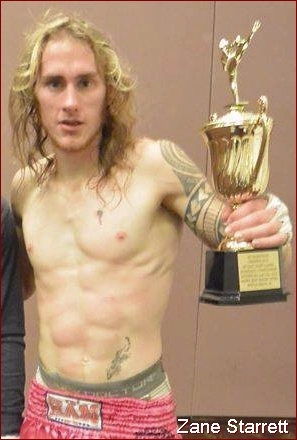 Jeffery Vilela NEEDS TO HAVE HIS FIGHTER INFO & UPDATE FORM: CLICK HERE. David Skuba NEEDS TO HAVE A FULL PHYSICAL. CAN BE DONE BY EVENT DOC AT WEIGH-INS FOR $40: CLICK HERE. David Skuba NEEDS TO GET IKF LICENSED: CLICK HERE. John Ricci NEEDS TO HAVE HIS FIGHTER INFO & UPDATE FORM: CLICK HERE. Edzel ( Zell ) Sarao NEEDS TO HAVE A FULL PHYSICAL. CAN BE DONE BY EVENT DOC AT WEIGH-INS FOR $40: CLICK HERE. Edzel ( Zell ) Sarao NEEDS TO GET IKF LICENSED: CLICK HERE. Abraham Hernandez NEEDS TO HAVE HIS FIGHTER INFO & UPDATE FORM: CLICK HERE. Mario Banks NEEDS TO HAVE A FULL PHYSICAL. CAN BE DONE BY EVENT DOC AT WEIGH-INS FOR $40: CLICK HERE. Mario Banks NEEDS TO GET IKF LICENSED: CLICK HERE. Marcel Warren NEEDS TO HAVE HIS FIGHTER INFO & UPDATE FORM: CLICK HERE. Joyce Hernandez NEEDS TO HAVE A FULL PHYSICAL. CAN BE DONE BY EVENT DOC AT WEIGH-INS FOR $40: CLICK HERE. Yvette Aguaristi NEEDS TO HAVE HER FIGHTER INFO & UPDATE FORM: CLICK HERE. 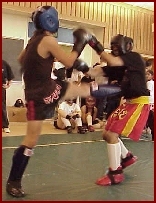 Semi Contact Kickboxing Sparring for nice awards! No Knockouts but the action is fast and furious! Advance Registration  CLICK HERE or Register at the door. 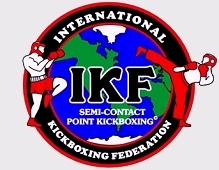 The IKF Point Kickboxing Semi Contact Tournament is part of a Doubleheader Kickboxing Event. Additional : There will also be an IKF Point Muay Thai / Kickboxing Sparring Tournament starting at 10:AM. Men, Women and Juniors compete for nice awards! Bring your entire team! Advance registration at www.AKPromotions.org or register at the event. VS Seeking opponent due to injury. Tyler Rossi will need a signed Parental Release form - Click HERE. Friday December 4th, 2015 - 3rd Floor - 5:PM to 7:PM. BOTH FIGHTERS NEEDS TO HAVE THEIR FIGHTER INFO & UPDATE FORM: CLICK HERE. Renee Rosas NEEDS TO HAVE A FULL PHYSICAL. CAN BE DONE BY EVENT DOC AT WEIGH-INS FOR $40: CLICK HERE. Renee Rosas NEEDS TO GET IKF LICENSED: CLICK HERE. April Vergara NEEDS TO HAVE HER FIGHTER INFO & UPDATE FORM: CLICK HERE. Lewy Juarez NEEDS TO HAVE A FULL PHYSICAL. CAN BE DONE BY EVENT DOC AT WEIGH-INS FOR $40: CLICK HERE. Lewy Juarez NEEDS TO GET IKF LICENSED: CLICK HERE. George Villa NEEDS TO HAVE HIS FIGHTER INFO & UPDATE FORM: CLICK HERE. Chad Smash NEEDS TO HAVE A FULL PHYSICAL. CAN BE DONE BY EVENT DOC AT WEIGH-INS FOR $40: CLICK HERE. Chad Smash NEEDS TO GET IKF LICENSED: CLICK HERE. Mikael Astrom NEEDS TO HAVE HIS FIGHTER INFO & UPDATE FORM: CLICK HERE. Elvis Angulo NEEDS TO HAVE A FULL PHYSICAL. CAN BE DONE BY EVENT DOC AT WEIGH-INS FOR $40: CLICK HERE. 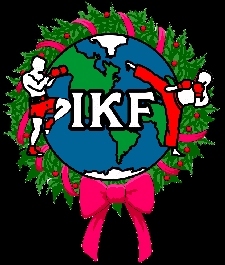 Elvis Angulo NEEDS TO GET IKF LICENSED: CLICK HERE. Joseph Zandejas NEEDS TO HAVE HIS FIGHTER INFO & UPDATE FORM: CLICK HERE. Marcus Gottliedob NEEDS TO HAVE A FULL PHYSICAL. CAN BE DONE BY EVENT DOC AT WEIGH-INS FOR $40: CLICK HERE. Marcus Gottliedob NEEDS TO GET IKF LICENSED: CLICK HERE. Chadricc ( Chad ) Kindle NEEDS TO HAVE HIS FIGHTER INFO & UPDATE FORM: CLICK HERE. Juan Ramirez NEEDS TO HAVE A FULL PHYSICAL. CAN BE DONE BY EVENT DOC AT WEIGH-INS FOR $40: CLICK HERE. Juan Ramirez NEEDS TO GET IKF LICENSED: CLICK HERE. Ethan Madrigal NEEDS TO HAVE HIS FIGHTER INFO & UPDATE FORM: CLICK HERE. Kris Deering NEEDS TO HAVE A FULL PHYSICAL. CAN BE DONE BY EVENT DOC AT WEIGH-INS FOR $40: CLICK HERE. Kris Deering NEEDS TO GET IKF LICENSED: CLICK HERE. Bryan Moonesinghe NEEDS TO HAVE HIS FIGHTER INFO & UPDATE FORM: CLICK HERE. There is a Frank Perez on the MMA Database (CLICK HERE) but not the same as the one above. Roy Gonzales NEEDS TO HAVE A FULL PHYSICAL. CAN BE DONE BY EVENT DOC AT WEIGH-INS FOR $40: CLICK HERE. Roy Gonzales NEEDS TO GET IKF LICENSED: CLICK HERE. Frank Perez NEEDS TO HAVE HIS FIGHTER INFO & UPDATE FORM: CLICK HERE. IKF Has a Jose Delgado Licensed, but Different Date Of Birth: 11-30-80. HAWKINS WOULD BE CLEAR FOR NO PADS HOWEVER Shepard IS 0-3 IN PROVEN BOUTS - CLICK HERE. Jeremy Shepard NEEDS TO HAVE HIS FIGHTER INFO & UPDATE FORM: CLICK HERE. This weekend IKF Promoter Johnny Davis will launch another "Grand Strand Fight Night" at the Crown Reef Conference Center in Myrtle Beach, South Carolina, USA. 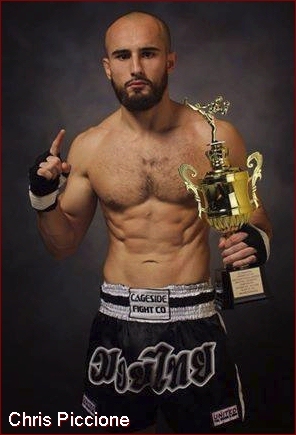 One of the top headline bouts will feature 2013 IKF East Coast Classic (IKF ECC) Novice Champion Chris Piccione of Wake Forest, North Carolina of Immortal MMA. Piccione is ready to step back in the Kickboxing ring after a first round KO win in the 2013 IKF ECC. Although he won in impressive fashion with one of the fastest KO's of the Tournament, he admits a little time off could make all the difference. He will be up against a very tough challenger in Zane Starrett out of Charlotte, North Carolina and is trained by Kru Dan Jakrapop Ruangrit King, owner of Black Belt USA in Concord, Charlotte, North Carolina. Starrett and his trainer know a few tricks to offset an aggressor such as Piccione. Zane claimed this year's IKF ECC Light Novice division with an impressive Unanimous Decision win over his opponent. Both men are in good shape and will be looking to gain traction and move their careers forward. AK Promotions is expecting a head to head battle for supremacy in this one! 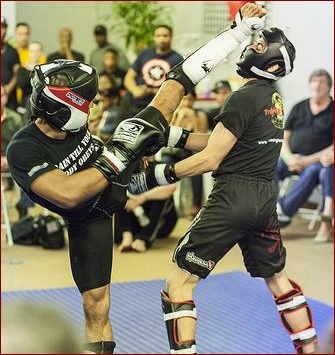 Just another reason why you should put Grand Strand Fight Nights - IKF Championship Kickboxing on your list to attend December 5th in Myrtle Beach, SC. The Crown Reef Conference Center will be thumping and wired for the best in sports entertainment! WINNER: Glannis Skordillis by unanimous decision 49-47, 49-47, 50-46. WINNER: Phoebe Cuminsky by unanimous decision 50-45, 50-45, 50-45. WINNER: Jamie McGuigan by unanimous decision 49-46, 48-47, 49-46. Nicole Burke receives 45 day IKF medical suspension until 13th Jan 2016. WINNER: Budha Limbu by unanimous decision 29-28, 29-28, 29-28. WINNER: Kalem John by unanimous decision 30-27, 30-27, 29-28. WINNER: Sam Squires by split decision 28-29, 29-28, 29-28. WINNER: Tanith Colburn by split decision 28-29, 30-28, 29-28. WINNER: Caitanya Anich by corner retirement end of round 3. WINNER: NO CONTEST due to fighter dislocating shoulder 0:55 round 1. WINNER: Dave Verlander by TKO 1:29 round 1. Michael Ives receives IAB medical suspension until 28th December 2015. WINNER: Dean Adkin by unanimous decision 30-28, 29-28, 29-28. IKF Judges: Keith Chastain, Ron Satterfield & Curtis Eisler. Both fighters came out with mainly hand techniques during the 1st round, but near the end of the 1st, Sanchez caught Neil with a couple quality kicks. In the 2nd Neil came out in a flurry but Sanchez fought back. Both fighters continued back in forth until Sanchez had a solid flurry near the end of round 3 resulting in a Mauro Sanchez victory by majority decision. WINNER: Mauro Sanchez in a Majority Decision, 29-29, 27-30, 28-29. Two evenly matched fighters who traded blows and leg kicks throughout the fight. As show by the judges scores it was difficult to pinpoint a winner as both fighters were equal in technique and aggressiveness. This one ended in a draw. RESULT: Draw 30-27, 29-29, 28-29. A fight of the tall vs the short. Phillips came out string, but using his reach advantage, Wesley threw a number of good strong kicks to both the body and head. Phillips in an attempt to escape the punishment was penalized on two occasions for holding the leg. Wesley won a unanimous decision. WINNER: Josh Wesley by Unanimous Decision 29-26, 29-25, 29-26. Washington dominated the fight from the beginning, not needing the penalty point he gained by Moorehead holding his leg. A battle of two hard hitters, Washington had the better mixture of hands and feet giving him the unanimous decision. WINNER: Akachi Washington by Unanimous Decision, 30-26, 29-27, 30-26. This bout had a fast and furious beginning with both fighters coming out ready to go. Brian got the better of the Lian in the 1st round resulting in a standing 8 count. Both fighters continued the furious pace throughout the full three rounds, but with the 1st round 8 count making the difference, Brian won in a split decision. WINNER: Split Decision 29-28, 27-29, 26-30. Judge Curtis Elser: 30-26, Brian. Judge Ron Satterfield: 29-27, Brian. Judge: Keith Chastain 29-28, Lian. Two hard hitting heavyweights who were not afraid to take what they dished out. Seabolt recovered well from an inadvertent low blow to win the fight by unanimous decision. WINNER: Thomas Seabolt by Unanimous Decision 28-29, 27-30, 28-29. Lewis was in complete control of the fight from start to finish. With devastating leg kicks and two standing 8 counts the fight was his to lose. However only 9 seconds into the third round, Lewis grabbed Espinosa and body slammed him to the ground resulting in his disqualification. WINNER: Devan Espinosa by Disqualification. WINNER: Jay Warren by unanimous decision, 50-43, 50-43, 50-43. WINNER: McCauley Morris by majority decision, 46-49, 48-47, 50-45. WINNER: Nathan Ransom by unanimous decision, 50-45, 49-46, 49-46. WINNER: James Middleton by majority decision 28-29, 29-28, 30-27. WINNER: Charlie Davidson by unanimous decision 29-28, 29-28, 29-28. WINNER: Rhys Pipes by unanimous decision 30-27, 29-27, 29-27. WINNER: Will Sheen by unanimous decision 30-27, 30-27, 30-27. WINNER: Ryan Quinn by unanimous decision 29-28, 30-27, 30-27. WINNER: Emily Kingshot by TKO / RSF (Referfee Stops Contest) at the end of round 2. Chesley Conlin was issued a 30 day IKF Medical Suspension until 3rd November 1015. WINNER: Danni Griffin by TKO at 1:28 of round 1. Gemma Hines was issued a 30 day IKF Medical Suspension until 3rd November 1015. WINNER: Andy Lowrie by unanimous decision, 30-28, 29-28, 30-27. WINNER: Craig Young by KO at 1:10 of round 1. Mick Hartley was issued a 45 day IKF Medical Suspension until 17th November 1015. "Tear Up at The Tower 8"
WINNER: Ruman Johal By Unanimous Decision: 50-47, 50-46, 50-47. WINNER: Joshua Page By Unanimous Decision: 50-47, 50-45, 50-45. WINNER: Nick Sprague By TKO at 1:14 of round 2. Balal Ahmed receives 30 day IKF medical suspension until 28th Dec 2015. WINNER: Adil Jhangir By Unanimous Decision: 50-47, 49-46, 50-48. WINNER: Nathan FisherBy Unanimous Decision: 50-45, 49-45, 48-45.